Viral pharyngitis can be caused by numerous viruses. Acute pharyngitis is an inflammatory syndrome of the pharynx and/or tonsils. Viral pharyngitis is inflammation of the pharynx (the part of the throat between the tonsils and the larynx). Viruses are the most common cause of sore throats, but some sore throats are caused by bacterial infections. Individuals who are frequently exposed to colds and flus, such as healthcare workers or children in day care are the most likely to develop pharyngitis. Individuals who have allergies, experience frequent sinus infections, or who have been exposed to second-hand smoke are also more likely to develop pharyngitis. Most cases are not preventable, because the viruses and bacteria that cause sore throats are commonly found in the environment. However, always wash your hands after contact with a person who has a sore throat. Avoid kissing or sharing cups and eating utensils with sick individuals. If your pharyngitis is caused by a bacterial infection, your doctor will prescribe antibiotics. It is important that you take the entire course of antibiotics to prevent the infection from returning or worsening. 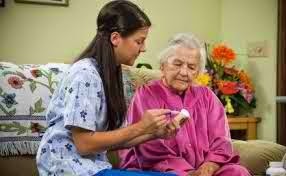 If your pharyngitis is caused by a virus, home care can help relieve symptoms.